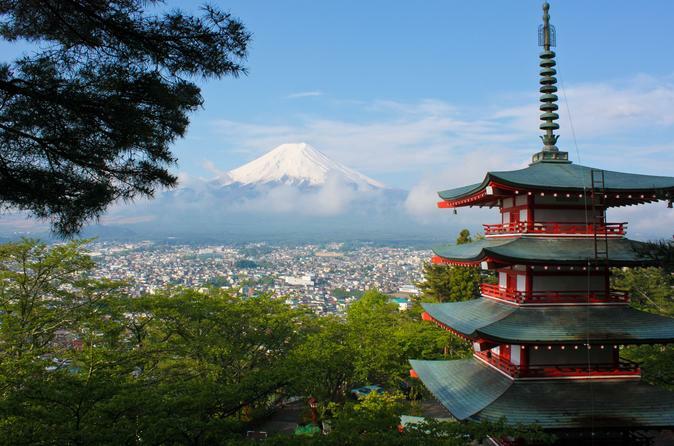 Journey onto this 1 Day Private Tour of Mt Fuji and surrounding areas from Tokyo by vehicle. Accompanied by a friendly, English speaking driver, experience magnificent vistas of the UNESCO World Heritage Site. See surrounding sites such as the Sengen Shrine Complex, Kawaguchiko Lake, and Oshino Hakkai. You will be picked up from your hotel and be taken to the sites, in the type of vehicle of your choice. This private charter is perfect for larger groups, especially for families, as it lets you see more in a day with utmost ease. It also means that you can enjoy the day at your own pace. This 1 Day Fuji Tour is fully customizable, bringing you and your group to some of the most beautiful and important stops in the region, from the Sengen Shrine Complex (the gateway to the ascension of Mt Fuji, hikers would pray for a safe climb here before embarking on their journey), to gorgeous Kawaguchiko Lake, Kachi Kachi Ropeway and even Oshino Hakkai, a traditional Japanese style village with it's evergreen ponds. All with our expert drivers with you every step of the way.